If you have never owned an inflatable kayak before, it is important to understand that they are in fact watercraft, and not pool toys. You can traverse the seas, rivers and lakes with inflatables just as you can do with hard shell boats. Few inflatable kayaks can compete with hard shell kayaks in terms of durability and performance, but inflatables have the distinct advantages of portability and ease of storage. Inflatable kayaks are the ideal choice for those that find that they need a kayak that is suitable for all kinds of water conditions. They are good for whitewater, lake fishing, and river fishing, have a great capacity and are easily portable. The biggest reasons to choose an inflatable kayak over any other type of kayak would be for the major advancement and improvement you can find regarding portability and storage. Inflatable kayaks are easy to travel with and can easily fit into the back of your car and a lot of times can be folded down enough to fit nicely into a backpack. There is no need to purchase a roof rack or any other equipment to travel with the inflatable kayak. Inflatable kayaks are also very lightweight and easier to manage than other kayak types, and they can typically hold one to three paddlers comfortably which makes it the ideal kayak for a family or a single person that needs to carry a lot of gear with them. Even though they are inflatable, these kayaks are also made to be incredibly durable and can withstand conditions that could threaten to puncture or tear the kayak. Many of them actually come with hulls that are able to combat any bumps, scrapes, or submerged rocks and sticks without becoming damaged. Self-bailing inflatable kayaks are more often used for whitewater kayaking and come equipped with several ports in the bottom of the kayak. These ports, or holes, will allow any water that happens to enter the self-bailing kayak to easily drain so you are not sitting in water as the kayak is filling up. However, since there are holes, you can also expect to have a wet ride no matter what and you should also note that this kind of inflatable kayak may not be the best suited for flat water conditions. Sit-on-top kayaks boast of an open and freeing design and is the best choice for those that may find it difficult to get in and out of other types of kayak. Sit-on-top kayaks are also the ideal choice for those that are kayaking in warmer climates. A sit-in kayak harbors more of the traditional design you typically see with a kayak, meaning that you will be sitting inside of an enclosed cockpit. The sit-in kayak is best suited for cooler climates and you can also add a spray skirt to help with any excess wind or water. Perhaps the most highly rated REI inflatable kayak is actually a hybrid of a rigid convertible frame with a seven-chamber inflatable body. The 10 ft. 5 in. Advanced Elements Advanced Frame kayak can accommodate a 300 pound load, but only weighs 36 pounds when deflated. Collapse the 30 x 17 x 10 inch frame to fit into a backpack or small storage space for easy portability. You can also purchase the AE Backbone accessory which installs inside the boat and attaches to the bottom. The addition of the backbone accessory provides additional rigidity and control, making this inflatable comparable to just about any hard shell yak. Initial setup takes about 20 minutes, but once you get the hang of it, you can inflate all seven chambers of these boats in about 5 minutes. Tear down is equally as fast. People who have purchased the AE Advanced Frame kayak rave about the boat’s control and maneuverability on calm waters, however, as always, be mindful and cautious on rowdy ocean swells. The #1 best selling fishing kayak on Amazon is the Sea Eagle SE370K_P Inflatable with the Pro Package. Carry up to three friends and all your fishing gear in this durable inflatable. These boats are considered self-bailing kayaks with one-way drain valves that continually expel water from the interior which is a very desirable feature for maneuvering over whitewater and ocean surf. This self-bailing kayak measures 12 ft. 6 in. and can accommodate a total weight of 650 pounds. The kayak is very durable with a patented PolyKrylar hull that is capable of withstanding potential punctures from protruding sticks and canine claws. If you are looking for a sturdy, easy to handle sea kayak, this Sea Eagle is the perfect choice. If your purpose for purchasing an inflatable kayak is mainly for fishing, the Coleman Colorado 2-Person Fishing Kayak is an excellent option. Highly rated by those who purchased the product, this inflatable kayak is equipped with Berkeley Quick-Set rod holders and fittings for a Sevylor trolling motor. Paddle holders keep your paddles in place as you focus your attention on angling. This kayak accommodates two people, up to 470 pounds in total. If you are a serious sport fisherman in search of a great Coleman inflatable kayak, this is the boat for you. This model is likely the best Coleman inflatable currently on the market. If you are in the market for an affordable yet durable Coleman inflatable kayak, check out the Coleman Big Basin 3-person model. This kayak measures 12 ft. 3 in. when inflated and can hold a total weight of 490 pounds and can comfortably accommodate up to three passengers. The seats are adjustable and can be removed from the unit if needed. The two directional strakes and tracking fin keep the kayak traveling in a straight line while paddling. This low profile kayak is an excellent choice for budget-minded consumers searching for a good value. If you prefer to navigate the waters alone, consider this little one-person inflatable sports kayak by Sea Eagle. Note that even though this kayak is rated as a one-person craft, the boat can actually accommodate two passengers and a total cargo weight of 500 pounds! So, if you are a solo angler and you tend to carry a lot of gear and equipment, then this is the right inflatable kayak for your needs. This 11-footer inflatable kayak is easy to navigate over calm lakes, whitewater and oceans with a Class III Whitewater rating. This kayak is an excellent choice for an inflatable sea kayak. For kayakers seeking an all-in-one starter solution, the Intex One-Person Challenger K1 Inflatable Kit includes everything needed to get you on the water within a few minutes. The economy kit is a great find for the price. It includes an 84 inch double-head aluminum paddle, a hand pump and repair materials. Just inflate the boat, load up your cruising cargo and hit the water! This kayak can accommodate one person with a total weight capacity of 220 pounds. The Intex Explorer K2 is one of the most highly rated two-person economy kits available. Just like its solo counterpart, this watercraft ships with aluminum oars and a high output pump. Designed mainly for calm waters and mild river cruising, the Explorer K2 inflatable kayak can comfortably accommodate two people, or you can remove one seat for a solo ride and add a bit more of your gear. This larger craft can carry up to 650 pounds. That’s three individuals and some gear, too! 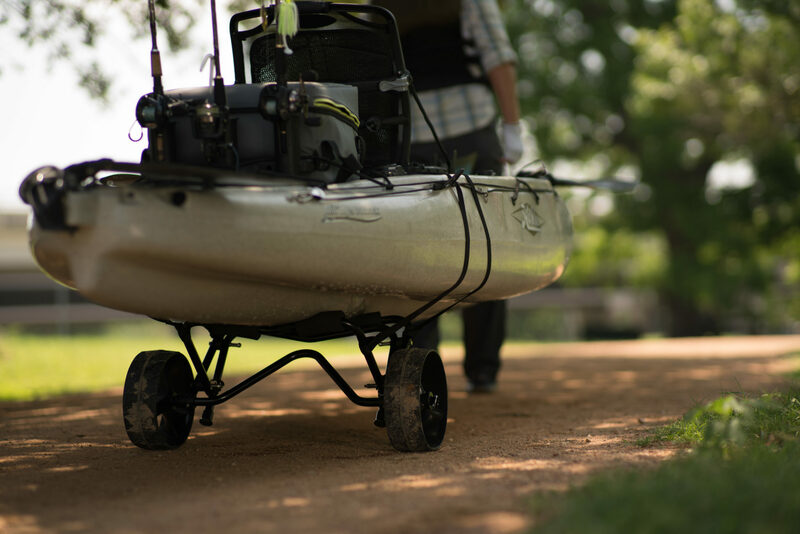 The kayak ships with two double-blade aluminum paddles and everything you need to hit the water the day the boat is delivered. The total time it takes from inflation and assembly to the point you can hit the water is eight minutes. This inflatable kayak is also very lightweight and weighs in at only 32 pounds which makes it much easier to store and travel with. If you happen to be a river runner, then this boat can handle Class III whitewater and has a self-bailing drain valve to help eliminate any excess water. The inclusion of high-frequency welded seams also helps to ensure this inflatable kayaks durability and longevity. The Coleman Quikpak K1 is a rare find in inflatables and can be easily set up and ready to go in as little as five minutes so you are able to spend more time on the water and less time worrying about setup and assembly. This boat differs from most inflatables as it is a sit-on-top model versus a sit-in model. 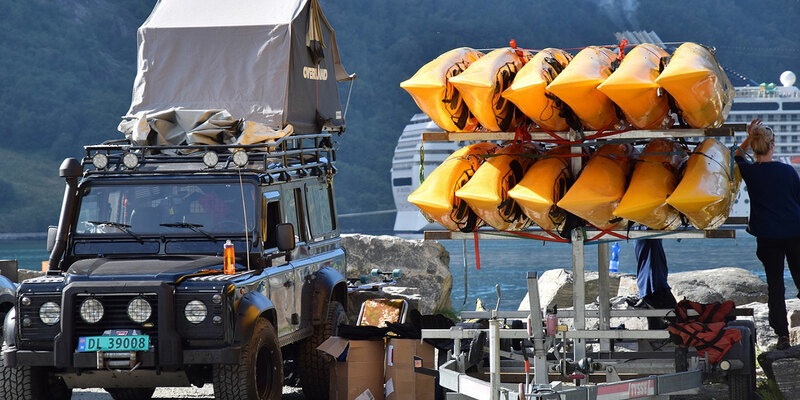 This kayak is stored via a backpack system which quickly converts into the boat’s seat. Lightweight and easy to carry, this craft is great for campers, hikers and bikers. The Airtight system helps guarantee that the inflatable kayak will not leak, and the double lock valves utilize two locking points, so you can experience easier inflation and deflation. A Tarpaulin bottom also helps ensure that this kayak will be puncture resistant while you are out on the water. Few inflatables are created specifically with youth sport kayaking in mind, however, the Bestway Bolt X2 Two Person Inflatable Kayak is the exception to the rule. The Bestway Bolt can accommodate two, however, the maximum weight allowance is 374 pounds. This kit includes the high volume pump, two double-blade aluminum oars and a carrying case. It is made from extra strength, three ply reinforced vinyl for strength and durability and a removable fin is included for directional stability. The two seats are adjustable and also include storage compartments for your gear. 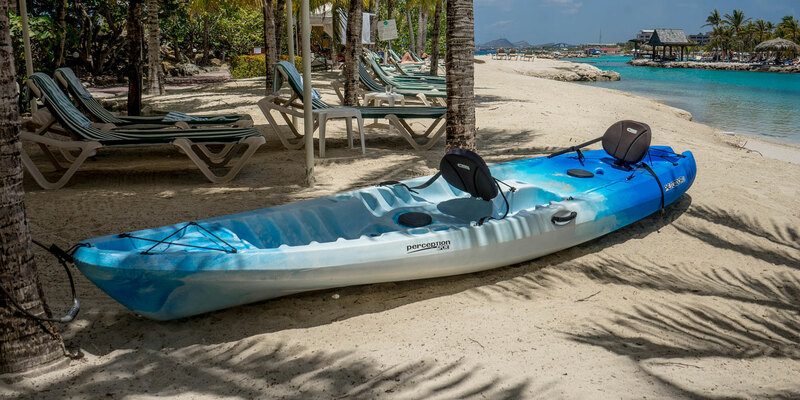 Additionally, the marine grade materials used in its construction can withstand extreme conditions including when the inflatable kayak is exposed to ultraviolet rays. Arguably, inflatable kayaks are the reason kayaking has become so popular among recreational activities because they have made attaining all the gear more affordable and easier to store. Whether you have been kayaking since childhood or are just trying to get into a new hobby, kayaking is something you can do for an hour to a full day to a multi-day trip that you can do solo or with a crew of loved ones. Price: This can be an easy starting point. Determine your budget and go from there. Remember you get what you pay for and the margin on cost on inflatable kayaks is massive. Even though you could find a kayak for as low as 70 bucks, it’s probably not going to last very long. However, you don’t want to waste your money, so it may be worth putting a little bit more money (around $200-600) forward to ensure the longevity of your boat and your fun! Material: Typically, there are only 3 types of materials you’ll find your IK made from–PVC, Hypalon, or Nitrylon. PVC stands for Polyvinyl Chloride which is basically a fancy word for plastic. Inflatables made from PVC are going to be your cheaper options but not as durable or resistant to chemicals, temperatures, abrasions, and sunlight. Hypalon is a synthetic rubber that is stronger, more durable, and lasts longer than PVC, also making it a bit more expensive. Lastly Nitrylon is a newer material that came into the picture because there is controversy on PVC’s harmful effects on the environment. It is also stronger than PVC, easier to patch up, and performs better in cold weather; making it heavier. Pump: In addition to these factors, ease of setup is always a crucial factor in the equation. There are a couple ways you can blow up your rig depending on its size. Some of the cheapest options on inflatables will be up to you and your lung power, but most you’ll need a pump to help you out. Your most efficient, manual option is a hand pump that pumps air when you push down and pull up–a double action hand pump. There are also pumps that pump air only when you push down (single action hand pumps), which you’ll find is easier on high pressure inflatables. A better pump for people who have back problems would be a foot pump. It’s also a bit smaller and easy to transport or even bring with you on your kayak trip, it just will take a little longer to pump up your vessel than a hand pump. The easiest option yet…an electric pump! It doesn’t get any easier than this to get most of the job done. I say “most” because they don’t have the power to fill it completely and you’ll want to top it off with a manual pump and you need a source of power, like your car. However, some inflatable kayaks will already come with the pump that is required, so that may be an important feature you will want to make sure is included with your purchase. The biggest benefit of having an inflatable kayak versus a hard shell is how compact they can get! Most of the manufactures make it almost too easy and provide a storage bag the kayak fits in for ease of transport and storage. You can keep a kayak in the truck of your car or a small closet, who knew? !